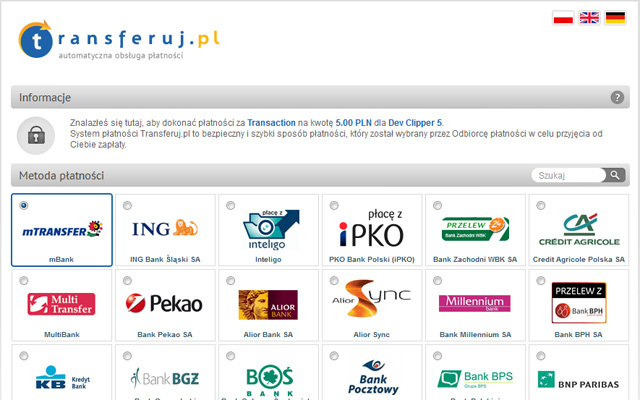 With Tpay.com (Transferuj.pl), you can accept payments in any of 41 payment methods, Polish language and Polish Zloty currency (PLN). 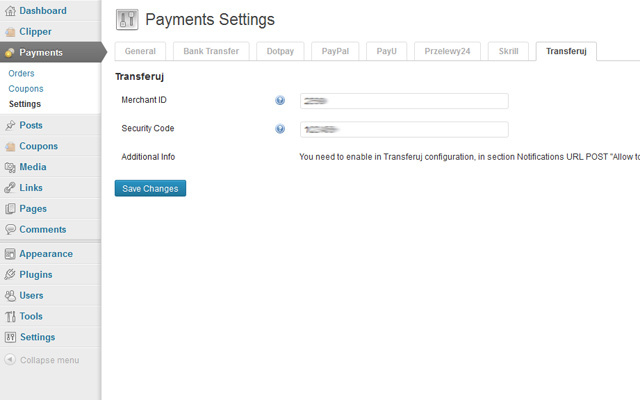 And now, you can start accepting payments via Tpay.com (Transferuj.pl) with your ClassiPress, JobRoller, Vantage, HireBee and Clipper website. 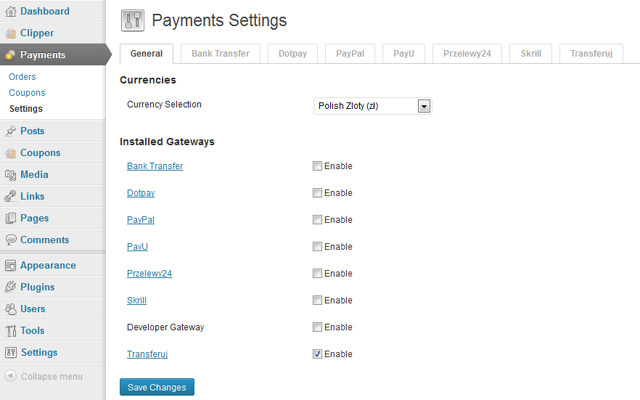 The Tpay.com (Transferuj.pl) Payment Gateway will work with any theme that supports AppThemes Payments.